Non profit Organization - saving JRT's from Pounds, abandonment, mis-treatment, & Rehoming unwanted pets. We rely on donations as we have no other source of funding. We Rescue & Re-home throughout the UK. 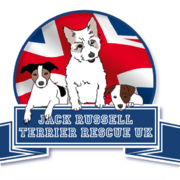 We are Dedicated to Jack Russell Terriers Although we help unwanted, homeless & abused Dogs of all breeds. Our dogs are in family foster homes in Wales, North London, Essex, Hertfordshire, Kent, Cheshire, & West Yorkshire, We rehome across the UK. We have successfully rehomed dogs from Scotland to the Isle of Wight. Our mission is to find and rehabilitate every discarded, broken little doggy soul we can. If a dog is sick, we’ll treat it, and if it’s scared, we’ll show it how to love. There is no such thing as a “lost cause”, we’ll never put a dog down. We have lots of lovely Jack Russell Terriers and Jack Russell Terrier Crosses seeking homes, so if you are considering adopting a Jack Russell please phone to discuss. In all cases a home check will be required & adoption fee applies. We do not rehome to households with young children. Some of our dogs are suitable for terrier experienced homes only, we can discuss each individual dogs requirements with you. Please be patient when waiting for a reply, we are a volunteer run rescue. We do our best to keep the website up to date but please bear in mind that any dog on here may already have found a home by the time you phone. If you are looking to adopt or rehome a Jack Russell, or Jack Russell Cross please contact us on 01597840742 or 07453261416 during normal working hours or, in emergency, up to 8pm. If you leave a message be sure to give your name, the nature of your enquiry and your phone number. It may be better to send an email if you are unable to speak to anyone. We home dogs, subject to satisfactory home checks, throughout the UK. All Our dogs are vet checked, vaccinated, micro chipped, neutered/spayed. All our dogs live in family homes prior to adoption. We have a no destruction policy. All prospective adopters will be vetted prior to adoption. No dog from us will be bred from. Adult dogs are neutered, vaccinated and micro-chipped flea & wormed prior to being re-homed. Puppies are vaccinated micro-chipped, flea & wormed prior to being re-homed. They must be neutered by the adopting family. We will require a vet reference as proof of neutering if a dog was too young to be neutered at the time of adoption, All our puppies are under a neutering contract & will be neutered at 6 Months old. All dogs homed by us will live indoors as an integral member of the family. They must not be used for guarding, hunting, breeding or any commercial purpose. All dogs homed by us will receive adequate vet attention should they become ill.
All dogs will be exercised regularly. All Adopters will stay in touch & give regular updates. No dog homed by us will be left alone for long periods of time. Training classes are strongly recommended for puppies & partially trained dogs. Dogs homed by us MUST be returned to us in the unfortunate circumstances that the adoptive family can no longer keep him/her. WE OFFER OUR DOG'S LIFETIME BACK UP. We are currently looking for more good local foster homes for our dogs. Additional help with fund raising, donations of money or useful items for the dogs gratefully received. We are all volunteers and do this for the dogs out of the kindness of our hearts. If you do wish to make a donation of money you can do so through our PayPal donation page.